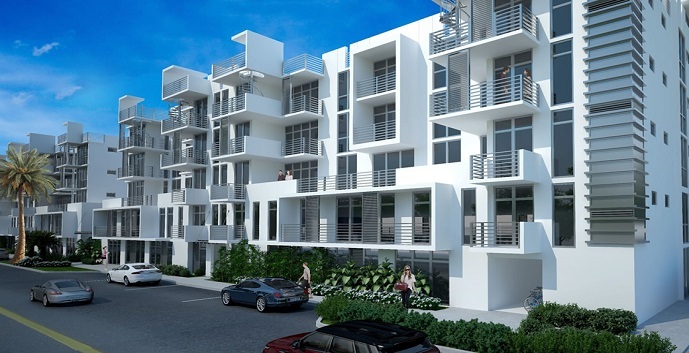 111 First Delray is an ultra-modern, upscale condominium community located in Delray Beach. Each of the 70 unique condos with be come with a home wide automation control system, otherwise known as Smart technology. 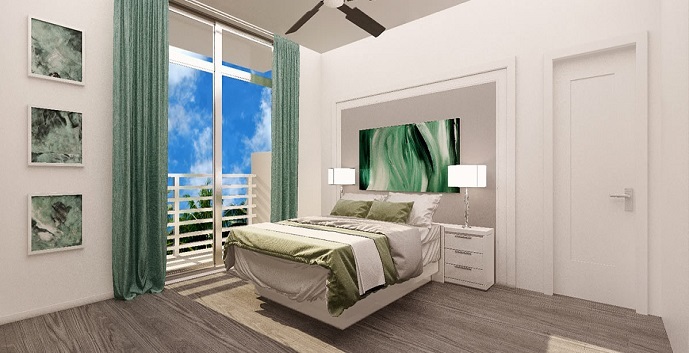 Residents will have several options for designing their unit with their choice of colors and may upgrade standard features to premium features like granite and real wood flooring. 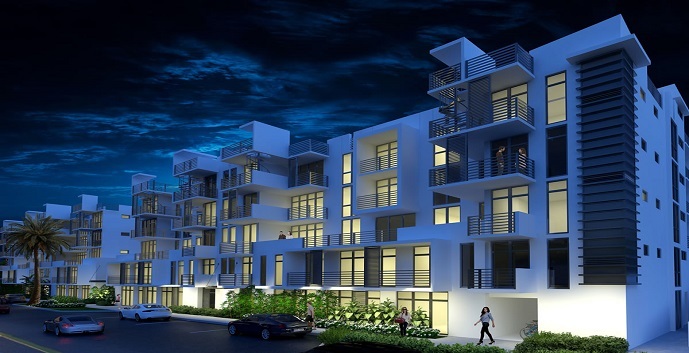 The units will be available in either 1, 2 or 3 bedrooms and range in size from 766 square feet to 1,616 square feet. 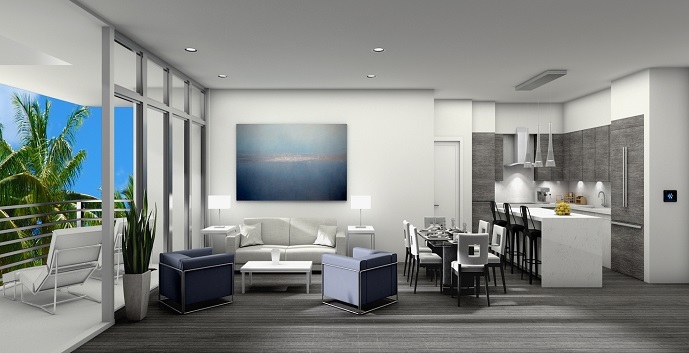 Inside the units will feature open kitchens with spacious living areas, some with private balconies and rooftop decks with 360 panoramic views. 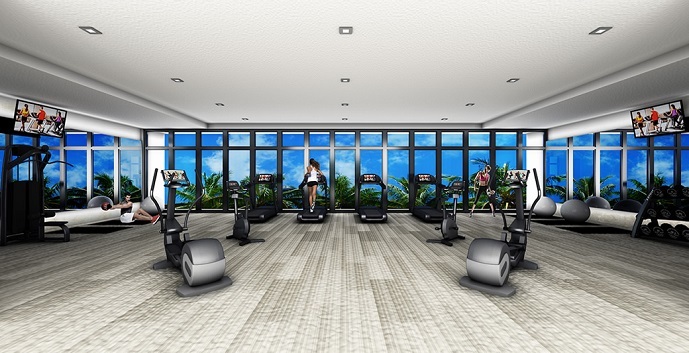 Amenities will include an impressive atrium lobby, swimming pool with cabanas, a state of the art fitness center, and an entertainment area with summer kitchens, bar and TV. 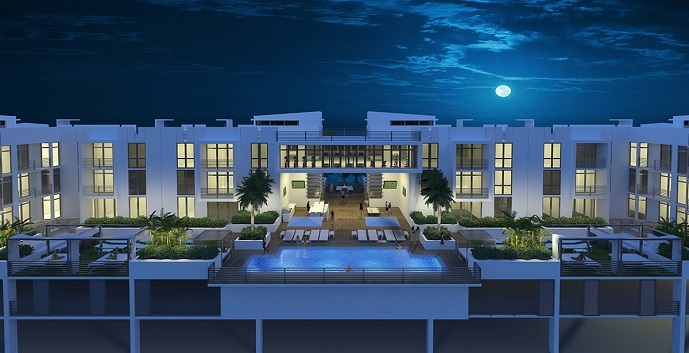 Resident here will enjoy 111 First Delray’s proximity to all that “downtown” Delray has to offer with its upscale restaurants and coffee shops, art galleries and boutiques, and of course some of Florida’s finest beaches. 111 First Delray is on sale now and units can be held with only a 20% deposit, one of the lowest down payments in new construction. 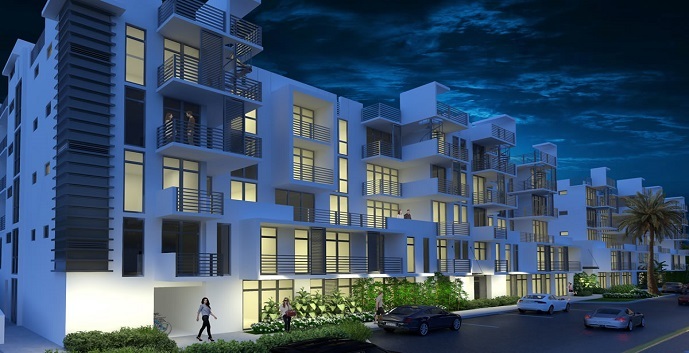 111 First Delray condos offer 14 models to chose from. Unit A - 1 bedroom, 1 bathroom. 6 units: 307, 317, 407, 417, 507, 517 on the 3rd, 4th and 5th floors. Unit sq.ft. 854. Interior sq.ft. 793. Terrace sq.ft. 65. Unit B - 1 bedroom, 1 bathroom. 2 units: 301, 311. Unit sq.ft. 705. Interior sq.ft. 653. Terrace sq.ft. 265. Unit C - 1 bedroom, 1 bathroom. 6 units: 302, 312, 402, 412, 502, 512. Unit sq.ft. 775. Interior sq.ft. 710. Terrace sq.ft. : 3rd floor - 257 sq.ft., 4th, 5th floors - 88 sq.ft., rooftop - 245 sq.ft. Unit D - 1 bedroom, 1 bathroom. 6 units: 303, 313, 403, 413, 503, 513. Unit sq.ft. 773. Interior sq.ft. 717. Terrace sq.ft. : 3rd floor - 287 sq.ft., 4th, 5th floors - 67 sq.ft. Unit F - 1 bedroom, 1 bathroom, den. 2 units: 202, 212. Unit sq.ft. 1,258. Interior sq.ft. 1,181. Terrace sq.ft. : 2nd floor - 119 sq.ft. Unit N - studio, 1 bathroom. 6 units: 308, 318, 408, 508, 518. Unit sq.ft. 781. Interior sq.ft. 729. Terrace sq.ft. : 2nd floor - 86 sq.ft. Unit E - 2 bedroom, 2 bathroom. 4 units: 204, 206, 214, 216. Unit sq.ft. 1,336. Interior sq.ft. 1,259. Terrace sq.ft. : 2nd floor - 65. Unit G - 2 bedroom, 2 bathroom. 2 units: 210, 220. Unit sq.ft. 1,152. Interior sq.ft. 1,075. Terrace sq.ft. : 2nd floor - 74 sq.ft. Unit H - 2 bedroom, 2 bathroom. 12 units: 304, 306, 314, 316, 404, 414, 416, 504, 506, 514, 516. Unit sq.ft. 1,118. Interior sq.ft. 1,043. Terrace sq.ft. : 3rd floor - 287 sq.ft., 4th, 5th floors - 158 sq.ft., rooftop - 314 sq.ft. Unit I - 2 bedroom, 2 bathroom. 6 units: 305, 315, 405, 415, 505, 515. Unit sq.ft. 1,297. Interior sq.ft. 1,208. Terrace sq.ft. : 3rd floor - 361 sq.ft., 4th, 5th floors - 182 sq.ft., rooftop - 163 sq.ft. Unit J - 2 bedroom, 2 bathroom. 6 units: 310, 320, 410, 420, 510, 520. Unit sq.ft. 1,213. Interior sq.ft. 1,140. Terrace sq.ft. : 3rd floor - 177 sq.ft., 4th, 5th floors - 177 sq.ft., rooftop - 325 sq.ft. Unit K - 2 bedroom, 2 bathroom. 6 units: 309, 319, 409, 419, 509, 519. Unit sq.ft. 1,251. Interior sq.ft. 1,172. Terrace sq.ft. : 3rd floor - 336 sq.ft., 4th, 5th floors - 196 sq.ft., rooftop - 315 sq.ft. Unit L - 2 bedroom, 2 bathroom. 4 units: 401, 411, 501, 511. Unit sq.ft. 1,011. Interior sq.ft. 937. Terrace sq.ft. : 4th, 5th floors - 58 sq.ft. Unit M - 3 bedroom, 3 bathroom. 6 units: 308, 318, 408, 418, 508, 518. Unit sq.ft. 1,614. Interior sq.ft. 1,513. Terrace sq.ft. : 3rd floor - 390 sq.ft., 4th, 5th floors - 204 sq.ft., rooftop - 412 sq.ft.